Happy cells and rapid solution switching at the same time. Faster Switching – all with bubbled oxygenation! You need rapid liquid switching with oxygenated solutions. How do you bubble Carbogen gas into closed, pressurized reservoirs? 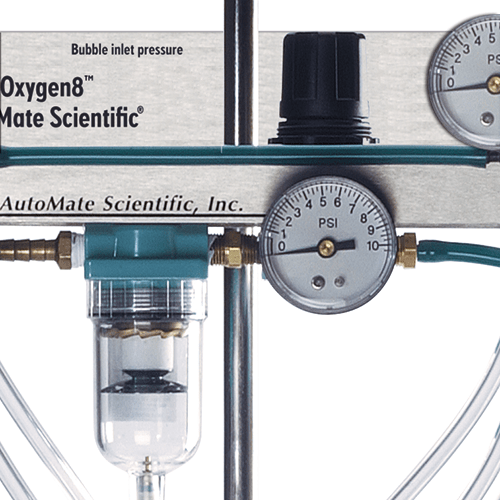 That’s the engineering problem AutoMate Scientific has solved with several years of research: bubbled, pressurized perfusion. 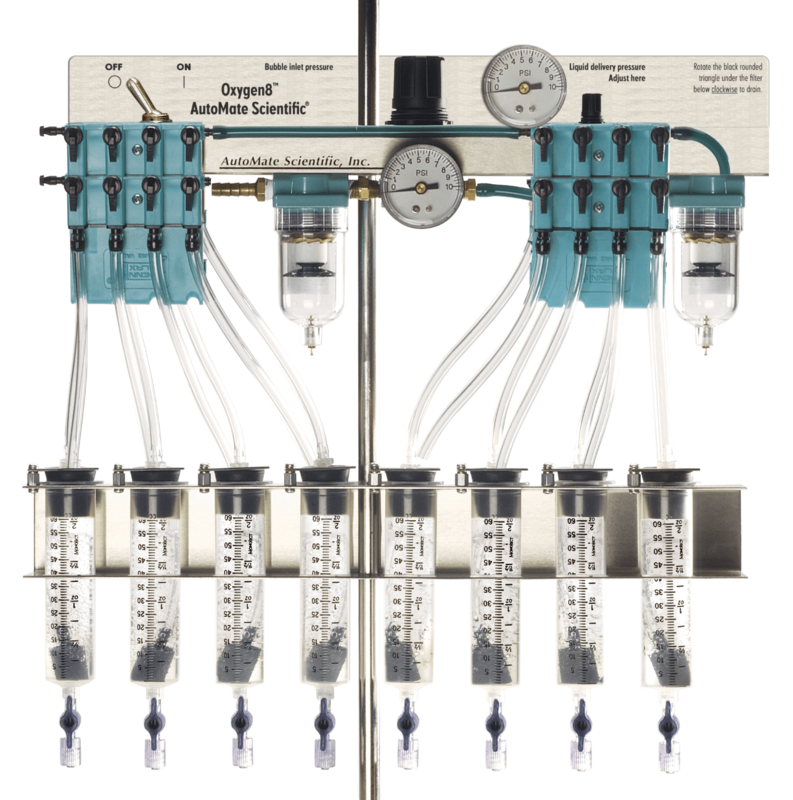 You can add the new Oxygen8 to any new or existing gravity perfusion system from AutoMate Scientific, any third-party manufacturer, or even homemade rigs. Connect to your desired gas (30 to 100 psi). Available in four- or eight-channel configurations. Syringe reservoirs may be placed in a water bath for temperature control or combine with the AutoMate BubbleStop™ syringe heater. Elegant design allows individual control of each air line. If you DON’T need bubbled pressurized reservoirs, please see Pressurized Superfusion. 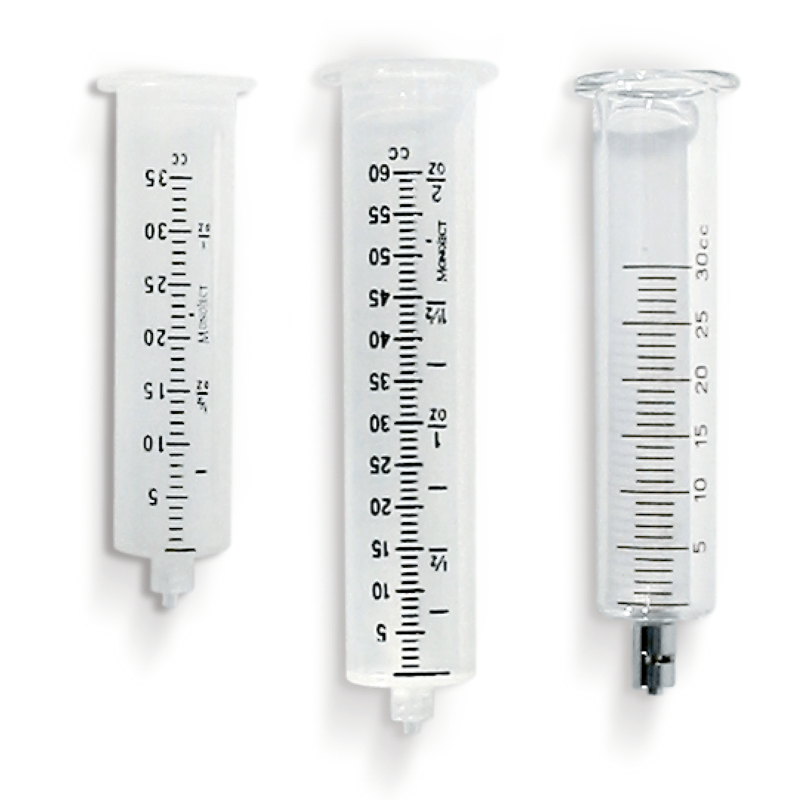 Available with 35 or 60ml plastic syringe reservoirs.